Last season saw Brendan Rogers’ Liverpool finish in seventh place in the table, a position consolidated after losing only one of their last twelve games. Many saw that as sustained progress in the “project” that is the rebuilding of one of the world’s most successful clubs. However, there were also fans of the opinion that a club of Liverpool’s size should never accept seventh place and that there was something seriously wrong with the direction the club is headed in. In quite an inconsistent season, in which Liverpool failed to make any impression in either of the domestic competitions, it was the arrivals of Phillippe Coutinho and Daniel Sturridge that breathed new life into a team so heavily reliant on star striker Luis Suarez. Sturridge’s ten league goals helped lift the burden off the Uruguayan’s shoulders which allowed Liverpool to finish the season strongly, albeit still unable to finish in a European place. This time around, there will be no excuses accepted as the sounds coming out of Anfield this summer suggest that Liverpool expect to challenge for a Champions League position which is the bare minimum a club of Liverpool’s size should be targeting at the beginning of a new campaign. After spending many years at Chelsea as head youth coach, working under managers such as Jose Mourinho, Avram Grant and Luiz Felipe Scolari, Brendan Rodgers left his Stamford Bridge comfort zone to become manager of Championship side Watford in November of 2008. His debut season was one of struggle and he won only two of his opening ten league games which left the club in the relegation zone. However, Rodgers managed to turn things round and eventually the London club finished in a comfortable 13th position. After his first season at Watford, Rodgers was heavily linked with a move to his old club Reading and in June of 2009 left Vicarage Road and became the Royals manager. This spell was highly disappointing though as after an initially positive start, Reading found themselves floundering near the bottom of the table and in December, Rodgers left the club by mutual consent. After a short spell out of the game, Rodgers joined Championship side Swansea City after their manager Roberto Martinez left for Wigan Athletic. In his first full season in charge, Rodgers had the Swans playing some of the most attractive football in the country and effectively so, as his club reached the Championship Play-Off Final at Wembley where they defeated Rodgers’ old side Reading to reach the Premier League. Having been favourites to be relegated from the top flight the following season, Swansea continued to impress and recorded home wins against 3 of the eventual top 4 in a season that saw them comfortably survive and finish 11th. 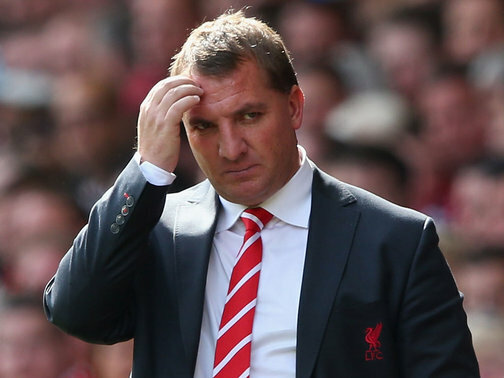 Rodgers’ fondness for promoting young talent and playing attractive, attacking football courted interest from top clubs around Europe and on 1 June 2012, the Northern Irishman signed a deal to become manager of Liverpool. Using last season as a learning curve as to the ins and outs of a massive football club, Rodgers will be much wiser this time around and having stayed true to his promise of promoting youth with players like Raheem Sterling and Andre Wisdom having break through seasons. 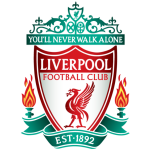 However, the Liverpool boss will know that the honeymoon period is over and that a serious challenge for the top four positions is an urgent requirement. In the absence of Luis Suarez toward the end of last season through suspension, this young Brazilian more than stepped up to the plate to consolidate Liverpool’s top seven finish, showing that his disappointing form at Inter Milan was a mere blip on the radar. While there is no doubt that Luis Suarez is the heartbeat of this Liverpool team, his refusal to show commitment to the cause for the coming season may mean that Liverpool have to plan for life without the Uruguayan. If this does prove to be the case, Coutinho’s form last season showed that he is more than capable of filling the boots of a player many thought should have won Player of the Year last season. Coutinho is a player in the David Silva mould, in that he picks the ball up in pockets of space in behind the midfield, drawing defenders with his direct style of play. What has impressed many observers of Coutinho’s play is that there seems to be a consistent end product even at a young age of 21. In only 13 appearances last season, the midfielder managed 3 goals and 7 assists, highly impressive for a debut season in the rigours of English football. If the youngster can take this vein of form into the new season and link with the likes of Sturridge, Sterling and new signing Iago Aspas, not to mention Suarez if he stays, then Liverpool’s attack will prove dangerous for any team. Although slightly unfair to place this much pressure on the shoulders of a young man who isn’t even one year in English football, such is the potential of Coutinho and the urgent need for Liverpool to challenge the top four clubs, the young Brazilian’s form may be the deciding factor between a campaign similar to last and a European place. Liverpool’s season may hinge on whether Luis Suarez decides to stay, particularly because any move for the striker will more than likely be to top four rivals Arsenal. However, there is a crop of young players eager to impress manager Brendan Rodgers and that should give Liverpool fans optimism ahead of the new campaign. 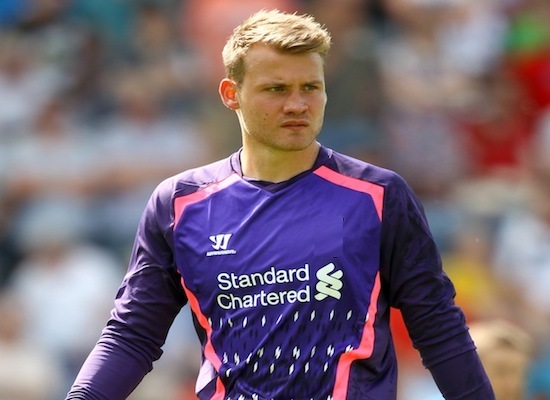 Perhaps one of the league’s best goalkeepers last season, Simon Mignolet (pictured above), has signed from Sunderland as have promising youngsters Iago Aspas and Luis Alberto, from Celta Vigo and Sevilla respectively. 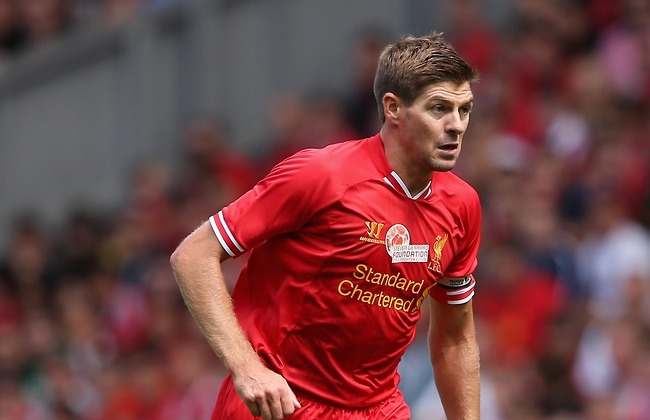 The signings of Aspas and Alberto will greatly increase Liverpool’s options in the final third and will allow Steven Gerrard (pictured below) more of a deep lying role in midfield alongside the influential Lucas. Defensively is where Liverpool seem short of options and even though legendary defender Jamie Carragher has been replaced with the experienced Kolo Toure, there still seems to be a lack of depth under the first choice back four of Johnson, Skrtel, Agger and Enrique, a back four that struggled itself at times last season, particularly against some of the top sides. The aforementioned attack of Sterling, Suarez, Sturridge and Coutinho managed to come to the team’s rescue more times than not last season, however, in a side that craves Champions League football, building your foundations from the back is a necessity. In a season where Liverpool are desperate to improve their league position, there is certainly a lot of promise in Brendan Rodgers’ side. However, the sheer strength of the sides that finished in the top four last season simply look more equipped than the Merseyside outfit for the coming campaign which means Liverpool may just miss out on their target of Champions League football.